In an e-mailed statement, Jenvey denied being Abu Islam, adding that some inflammatory posts formerly on the site have now been either removed or manipulated to the forum administrators’ advantage. The email was sent to Jeremy Reynalds, a British Christian living in New Mexico who also monitors Islamic extremist websites – I noted his efforts in this regard in a positive blog entry I made in 2005. Reynalds also tells us that Jenvey is a different person from “Jonathan Galt”, a name which has appeared on Jenvey’s website occasionally and which I thought was a Jenvey pseudonym. Curiously, this was followed by other comments written in the same style and published shortly after, but supposedly by different people – when Tim Ireland (who first noted the problem with “Abu Islam”) suggested sock-puppetry, these extra comments were removed and replaced by others. Despite the bluster and Evans’ certainty, there was no discernable Iranian surge. How many books were sold is unclear. With characteristic naivete, Carter pressured the shah to allow more political freedom. While some 300 political prisoners were released, censorship was relaxed, and judicial reforms initiated, the youth of Iran were swarming to radical Islam. Presumably Evans would have preferred a continuation of SAVAK-led torture and oppression (which was probably unsustainable anyway). MD’s other reviews can be seen here -or rather it’s more or less the same screed spammed onto more than a dozen right-wing potboilers. Certainly, the word “crank” does come to mind. 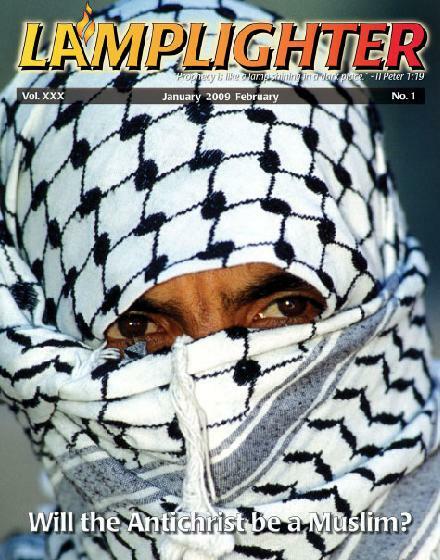 This is the magazine of “Lamb and Lion Ministries”, run by David Reagan. In in fact, Reagan does not think that the anti-Christ will be a Muslim, and in the magazine he has a long piece that instead favours the more usual (albeit just as nonsensical) “Revived Roman Empire” theory of the Last Days. I’ve blogged the unedifying debate here. Or might that be in bad taste?